Carbon Fiber Fabrics Chopped Strand is available in various lengths to give the optimum aspect ratio, coated with specifically formulated binders to give superior compatibility to various polymer or resin matrices. 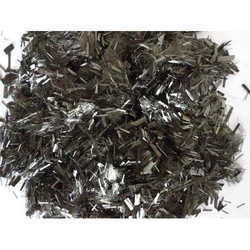 We offer Chopped Strands for BMC and for Thermoplastic Applications. Mainly used in Injection and Compression molding processes and it’s typical end-use applications include automotive industry, home appliances, valves, pump housings, chemical corrosion resistance and sports apparatus. The major Thermoplastic applications include PP, AS, ABS, PET, PBT, PA6, AP66, etc. Our firm is one of the well-known firms that offer an extensive series of Chopped Strands. We check this product on numerous quality parameters to supply a defect free range. Backed by a team of dedicated, immensely skilled and highly experienced professionals, we are engaged in processing, supplying, trading and exporting an exclusive range of Chopped Strands. These strands are these paint raw materials are processed in hygienic environment and offered in safe packaging at most feasible rates. 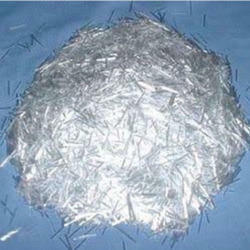 Being a well-established-organization, we are engaged in supplying a distinguished range of Fiberglass Chopped Strand. - Widely demanded in petrochemical industry, electrical industry, etc. We are a unique name in the industry to provide our prestigious clients an exclusive range of Chopped Strand. With the help of professional vendors, our firm is capable to present Chopped Strands. Our products are enormously used by patrons due to their top features. We are one of the conspicuous names in the industry for offering Chopped Strand with size 3 mm, 6 mm and 12 mm to our valuable customers at affordable rate. - Rs. 100 to 125 Per Kg. Features Easy air removal and rapid resin impregnation.